Peter Davis OBE, Director-General of the BPF, retired from the role at the end of June. Here he reflects on his career, the changes in the plastics industry and the challenges it faces. In my twenties I was fortunate enough to be employed by Metal Box and benefited hugely from the training they gave in all aspects of packaging. I worked on lined cartons in the Paper and Plastics Division, but the real action and excitement was in plastics. My next post was a marketing role in 3M Medical Products, where plastic-based products for dressing, stethoscopes and dentistry predominated. I then became a product manager at Dylon Ltd, makers of household dyestuffs for clothes and footwear, and got heavily involved in commissioning new packaging, mostly plastic, for new product ranges. My career then went into politics, as a Special Adviser to a Cabinet Minister, and then a spell as a Director of the Royal Institute of British Architects. I came back to the packaging and plastics world when appointed Chief Executive of Incpen, the Industry Council for Packaging and the Environment in 1992. Incpen covered all packaging materials and it was a crucial time when we had to actively help shape how the UK would comply with the EU Packaging Directive. 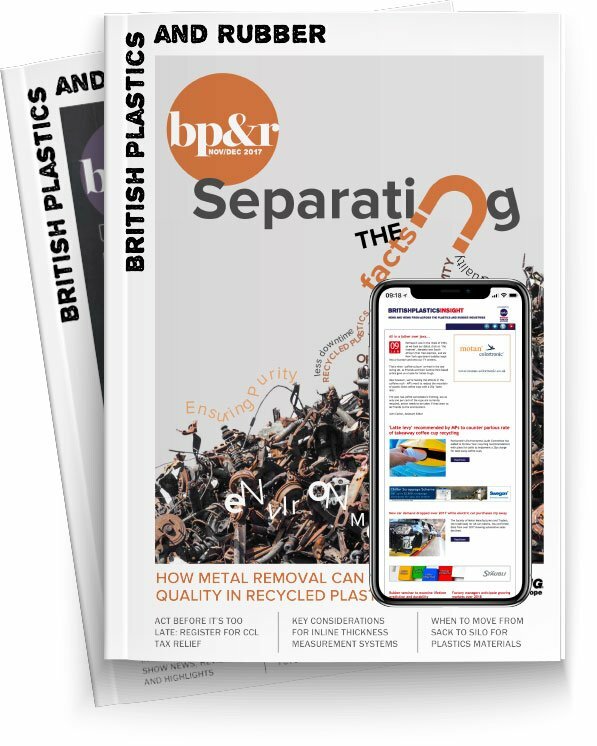 In 1997 I accepted the BPF role, which for me was a great move because it widened my scope beyond packaging and the BPF had an excellent reputation as one voice for plastics. When I joined the BPF, PVC was under strong attack from environmental pressure groups that said it was a “sunset” material. We tackled this with the Vinyl 2020 and VinylPlus voluntary agreements to take out certain heavy metals and greatly increase recycling. We have improved PVC’s image so much that it was practically a “material of choice” during the 2012 London Olympics. The plastics industry benefitted enormously in the early 1990’s from substantial inward investment by US and Japanese companies. The industry had to improve its quality and delivery and in every sense have a more global perspective. More recently, the plastics industry has had to cope with the EU’s REACH legislation (Registration, Evaluation, Authorisation and restriction of CHemicals.) Polymers are not targeted, but many of the additives we use are adding a huge tranche of extra regulation and cost for our additives companies. The latest recession was very difficult for our companies, with 2009-10 probably the worst years. We roughly estimate at least 9,000 jobs were lost, but certainly our companies did try to retain their most experienced staff. When at last, after many years of lobbying, the BPF finally got a Climate Change Agreement with the Government in October 2009, this gave our companies some relief with the discount on the onerous Climate Change Levy in exchange for achieving energy reduction targets. We have a large scheme with 325 members’ sites in it. In my sixteen years at the BPF I have seen the rise of India and China as major markets for plastics and equipment and, only in recent years, a huge interest in plastics recycling. Now we see the rise of the United States as a major plastics producer, benefiting from their shale gas revolution. Looking ahead I am very optimistic about the future for the UK Plastics industry. The latest ONS (Office for National Statistics) Statistics data singles out the manufacture of plastics as the largest single surge in 1st Quarter manufacturing. I am quite sure that Interplas on 30th September – 2nd October will benefit from this and I do hope our companies send their apprentices to the show. As business improves skills shortages become worse and we need to convince young people that at all levels in our industry they can have a rewarding career. We are seeing re-shoring, manufacturing in China particularly, being brought back to the UK. We have many UK strengths for plastics manufacturing. A ready supply of oil, gas and chemicals needed for plastics production, world-class universities specialising in polymers and a world-class design sector designing everything from cars to housewares. On energy security we do have concerns that there is little urgency in replacing old power stations that are being closed, or increasing UK gas storage. We import over 50 percent of our gas. The winter of 2015-16 could lead to plastic firms being asked to shut down production when energy supply does not equal demand. But UK reserves of shale gas, estimated to meet needs for 100 years, must be explored and extracted to give us local energy supplies but also hydrocarbons to provide raw materials for the plastics and chemicals industry. As I retire from the BPF to seek new opportunities, I am full of confidence that the UK Plastics Industry and the new BPF team have a golden future ahead.